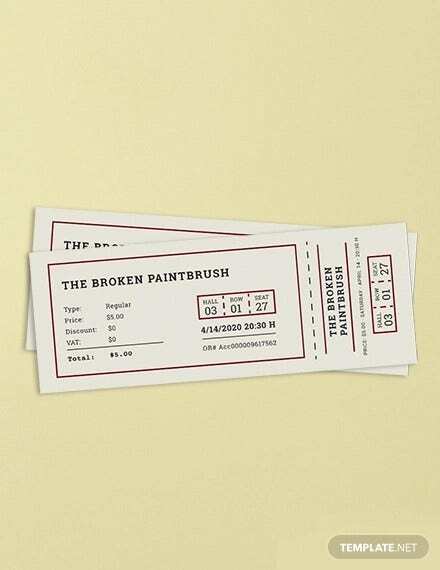 Ticket designs have evolved over the years. 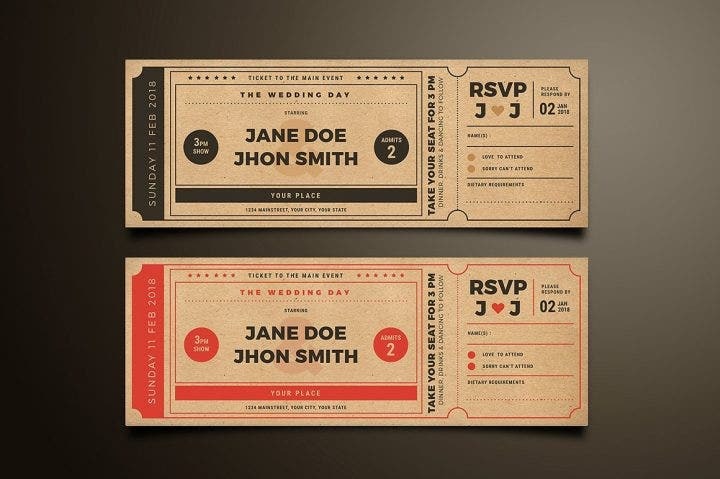 Various themes are now applied in ticket designs and these designs are used for just about every event. 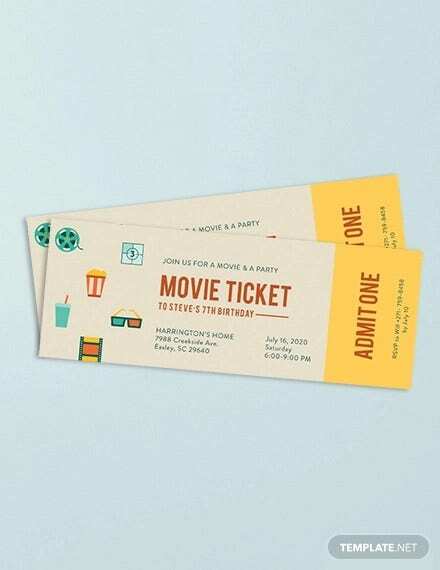 Raffle and movie tickets are the most popular forms of tickets, and graphic designers have utilized their popularity and created attractive designs using both vintage and contemporary elements. 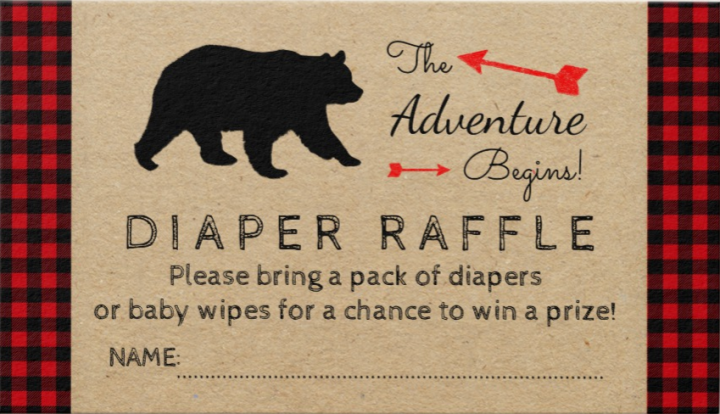 Here are some very attractive raffle and movie ticket templates you can use for any event. Based on their real-life counterparts, playing in raffle events and watching movies in the cinema have remained as very popular activities for people across the globe. Companies and individuals who host raffle draws still draw a lot of attention and entrants. Who would not want to win a gift check worth $1,000,000 or a brand new car? 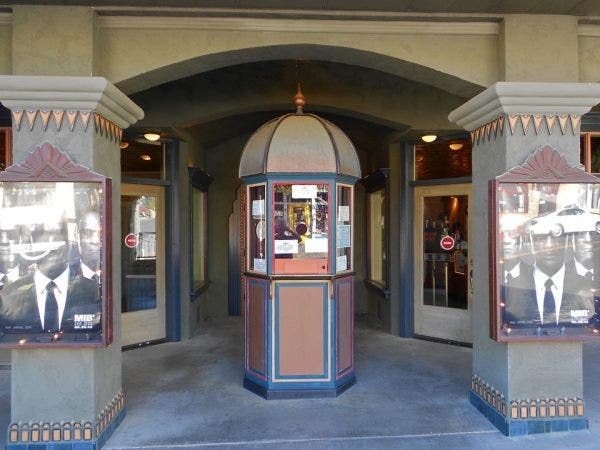 Despite the rise of technology where movies can now be viewed anywhere and anytime on your phone or tablet, moviegoers still prefer to watch movies on a 50-foot screen with Dolby digital surround sound. As long as raffles and cinemas remain popular, then tickets for these events will also remain popular. Dull and simple are not words to describe raffle and movie tickets. Designs for these tickets contain some of the best-looking graphics around. 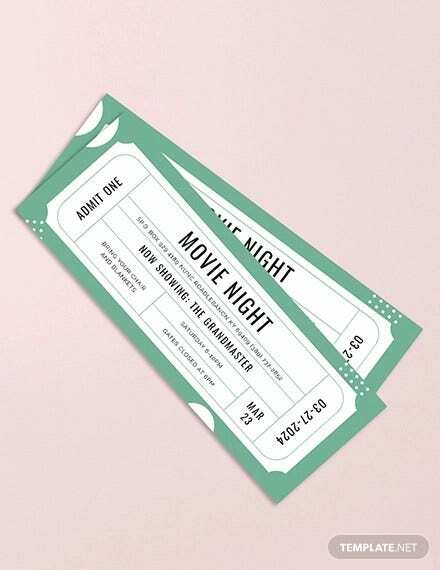 The use of various elements from vintage and contemporary themes make these tickets very attractive. There is no limit on how the designs can be made. 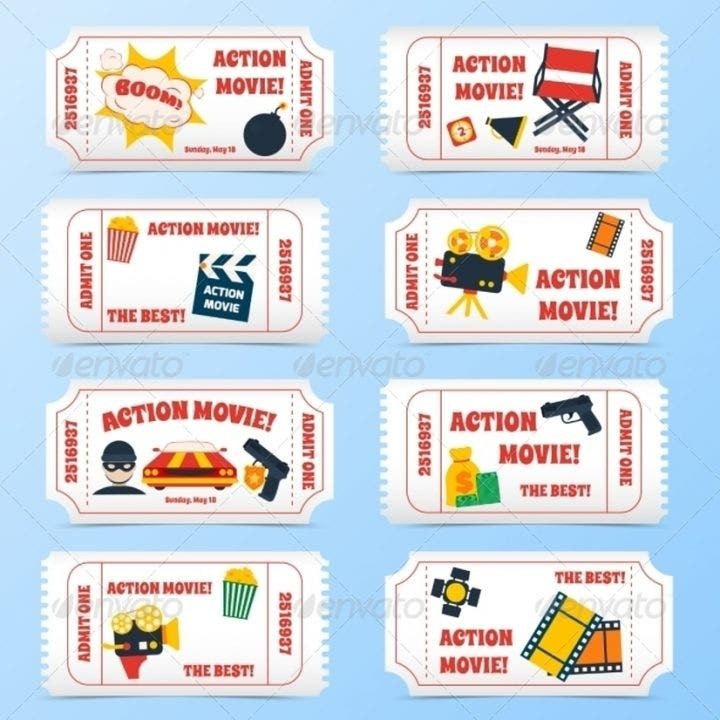 For example, movie tickets can use a vintage theme when incorporating images of old movie equipment or using themes from classic movies such as The Godfather (1972), Ben Hur (1959), Pulp Fiction (1994), and Psycho (1960), to name a few. 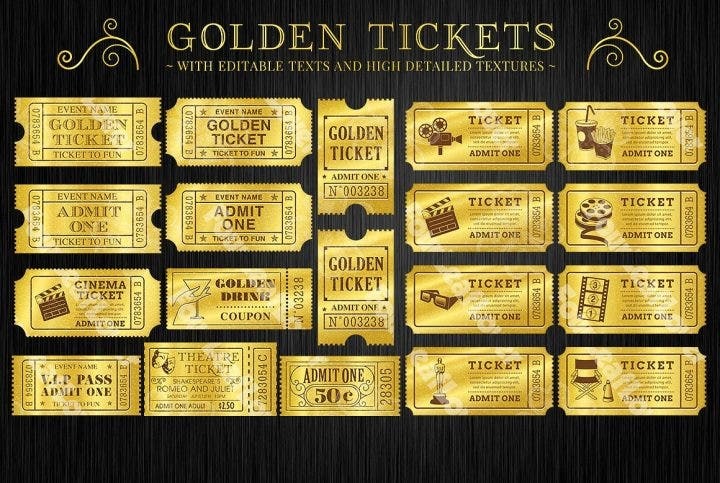 Additionally, some raffle ticket designs use futuristic 3D and HUD themes in their designs which look amazing. 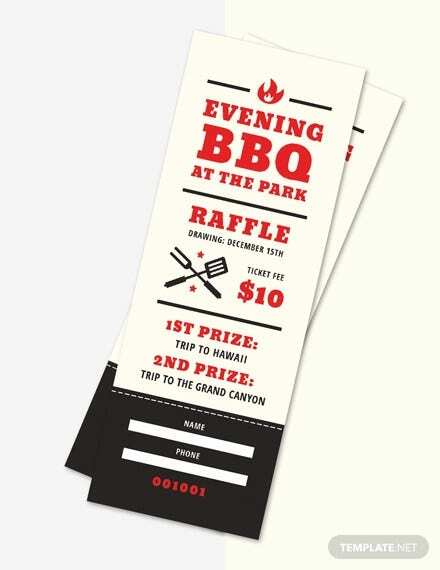 Raffle and movie tickets are very versatile and can be used for any event. 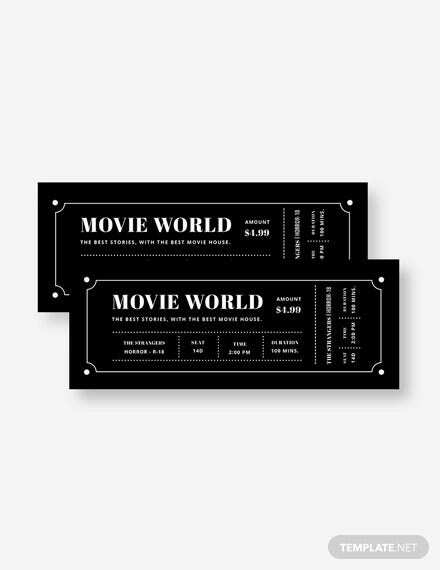 They are also pocket-sized compared to standard-sized tickets and you can easily carry them with you anytime and anywhere. Due to their popularity, they have been used for events such as weddings, birthday parties, and business events. 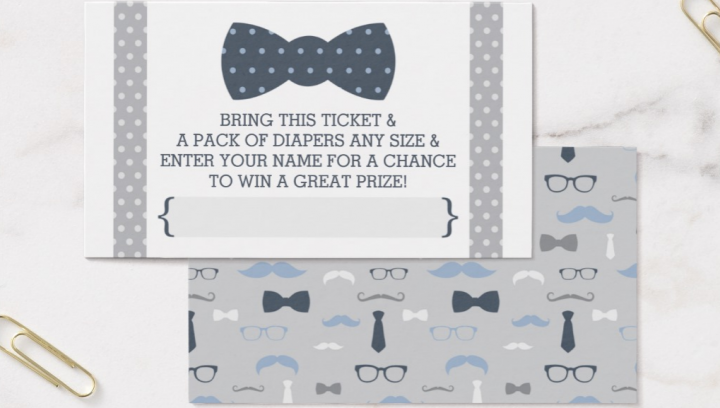 You have probably seen movie ticket wedding invitations or raffle ticket seminar flyers. 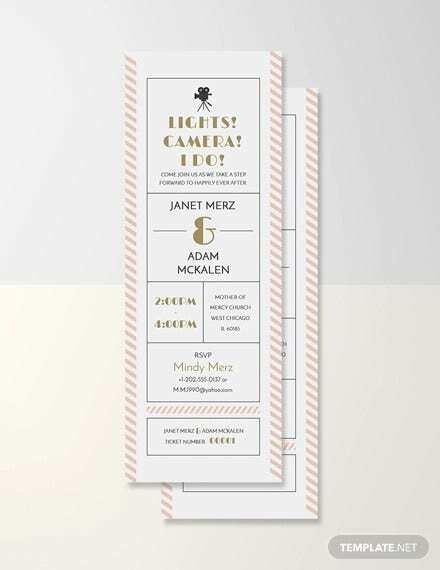 They fit any event as long as the design and detail is appropriate for the said event. 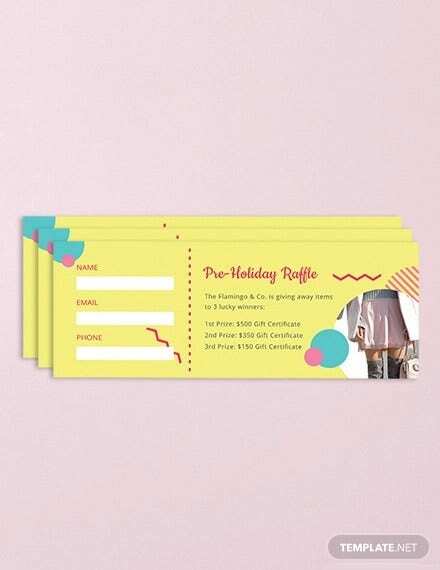 If you are a budding graphic designer or a veteran who has used different design software, making your own raffle and movie ticket designs can be a good source of income. Online design stores have made it easy for designers to sell their work while giving them exposure to present their portfolio to potential clients from around the world. 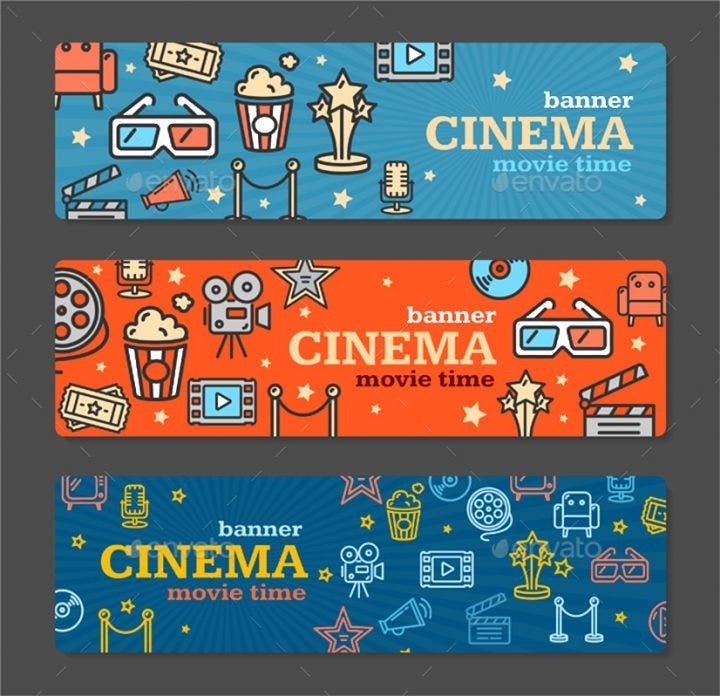 Furthermore, there are no specific patterns to follow when making raffle and movie ticket designs, so the designer is free to choose any theme or concept.